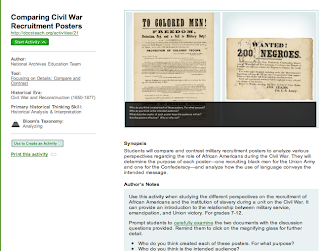 DocTeach... this is one of the very best websites for Social Studies! A direct website for primary resources?! Yes! It is true! It even has lesson plans! I love this whole site and will definitely be using this in the fall. One of the best things is that they are all from the National Archives! What is the best new site that you have found lately? I'm so glad that you stopped by! I'm planning (hopefully) on sharing a new site or app each week! I've found quiet a few new ones that I'm excited to share!